Please remember to come and support the Junior Festival on Sunday 29th June Starting at 10am. 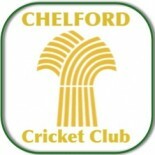 Remember to get your friends and family to like the Chelford CC’s Facebook and Twitter pages Just click the links at the bottom of the main page! ITS EASY! Thursday night is the clubs senior practice night. Starting at 6pm @ The ground ALL WELCOME!